Golf Performance Training can be a great way to compliment your golf game! 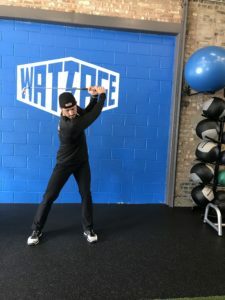 There are many rumors and myths out there that say golfers should not go to the gym, lift, or partake in any form of fitness training, but Jeff Flagg, long-drive champ thinks otherwise. Golf has transformed over the years starting as a leisure sport, to now golfers being a total Performance Athlete. Knowledge of body mechanics has been improved in the last years, making golfers focus on golf performance training in the gym and on the green. Jeff Flagg says "your fitness routine should match your golf game," which is why he focuses on warm-ups and a fitness routine that has allowed him to drive a ball 463 yards becoming 2014's Long Drive Champion! Check out Jeff being challenged to a 430-Yard Par 4 Drive at Butler National Golf Club. People usually don’t think of golf as a physically demanding sport. Although, when you look at the repetitive motion of the sport, coupled with lifestyle habits (work, traditional gym exercises, an overall lack of daily movement), golf is a game that can wreak havoc on your body if these issues aren’t addressed properly. 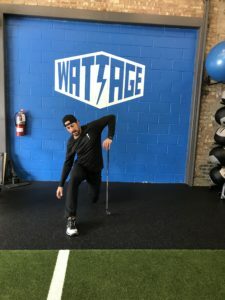 Wattage: "What would you say is the most important golf performance training techniques"? Jeff:-First habit to build would be a solid dynamic warm-up/movement practice before (or after) a round of golf or practice session. This is going to help alleviate some soreness/tightness in some of the “trouble areas” for golfers, as well as allow you to practice/play with more ease more often! The three warm-ups that have helped me are: Lunge with a side bend assisted with a golf club, reverse lunge with knee drive, and lastly, swinging the golf club on your regular (normal) side and then switching to your opposite side (unnatural) side and swing. Wattage: "Why these specific warm-ups"? 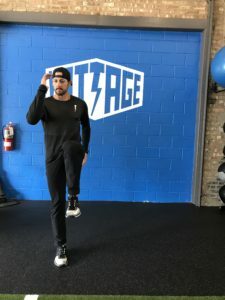 Jeff: These warm-ups will help you tap into any imbalances you may have such as a tight hamstring when performing the reverse lunge, or poor hip mobility on one side when you do the knee drive. From my own experience, Long Drive is an extreme version of golf, so my fitness program is even more important to keep me healthy while trying to swing the club more than 140+mph. I love anything with a lunge stance for golfers. It incorporates strength and stability in the front leg while building strength and flexibility in the back leg/hip. This move also incorporates an east/west side bend of the spine, which is huge for golfers to be able to stay “on plane” and rotate through the ball uninhibited. The key here is to stay tall through the hips/lumbar spine while allowing the anchored club tilt you towards the lead leg side. Here is a move that will start to coordinate the upper and lower body together. Efficient rotation involves the coupling of forces, where one side of the body is moving one direction, while the other side of the body is producing an equal and opposite force. Start standing tall, and as you drop one foot back into a lunge stance, the opposite armloads backward. Then the front leg digs into the ground as you drive your back knee to your chest and stand tall. This warm-up is a great test to see how balanced your body is from one side to the other. I don’t advocate actually hitting balls the opposite way, but from a muscular balance standpoint, the swings should look similar on both sides. If you want to improve your golf game, try complimenting your golf game with golf performance training!